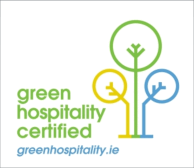 While every effort has been made to ensure the accuracy of all information, Herbert Park Hotel does not accept liability for any errors or omissions and reserves the right to change information and descriptions of listed features and products. Please note that different terms, conditions and cancellation policies in relation to all online bookings via Herbert Park Hotel website may apply depending on the room or rate type selected. Please read carefully the room rate details that are provided before you make your online booking. You are advised to check through the rate details before making your online reservation. Herbert Park Hotel’s website is intended to assist the consumer in determining the availability and booking of a hotel reservation. Apart from printing information in connection with your travel, you are not entitled to reproduce, replicate, sell, resell or otherwise exploit the Herbert Park Hotel website unless we provide you with prior written permission to do so. Use of Herbert Park Hotel’s website is restricted to people over the age of 18 who can enter into binding contracts. Links that feature on Herbert Park Hotel’s website are links to other sites, which we believe may be of interest to you. By providing these links we are not endorsing or recommending such sites or the services or material provided by them. We therefore accept no responsibility for the materials, services or other situations at or related to or from any other website. While every reasonable effort has been made to ensure accuracy of information, the content of Herbert Park Hotel website may include technical, typographical or content errors. Therefore, it is important to refer to the disclaimer information below, before using Herbert Park Hotel website. 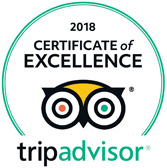 The content of Herbert Park Hotel website is provided "as is" without warranties of any kind, implied or expressed, statutory or otherwise, including without limitation, the warranties of merchantability or fitness for a particular purpose. Herbert Park Hotel also does not warrant the accuracy or completeness of the information, links or graphics found on the Herbert Park Hotel website. Herbert Park Hotel may make changes to the content or policies at any time without prior notice. In no event shall Herbert Park Hotel be liable for any special, indirect and consequential damage or damages arising out of your access or use, or your inability to use the Herbert Park Hotel website. You hereby waive any and all claims against us arising out of your use of our website or any materials or recommendations of any third parties on our website. At Herbert Park Hotel, the privacy and protection of personal data is treated with the utmost seriousness. Our privacy statement, below, sets out the data protection practices currently in place within the company. Please be aware that all personal data and CVs or resumés submitted via Herbert Park Hotel website are stored on a secure, dedicated server for a fixed period of six months only. After this, all data is deleted. This data will only be used for the purpose intended. Access to this data is strictly limited to authorised personnel from Herbert Park Hotel Personnel Department.